As a new Reflektive user, the first thing you should be able to do is to log in. You can achieve this by either using a Native Password, Google (OAuth), or a Single Sign-On provider (like Okta, OneLogin, Microsoft AD FS/Azure, and more). We will go over each login flow, along with some troubleshooting tips in this article. If you are trying to log in (without using Google or a Single Sign-On provider), you will need to set your password in order to enter Reflektive for the first time. If you forgot your password, you will follow the same workflow as described in this article. 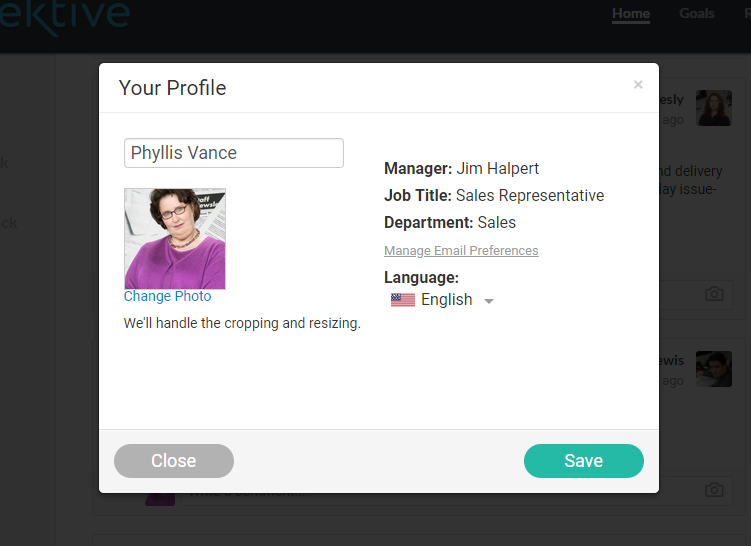 Once you're in the system, you'll be able to review your own profile. Access it by clicking your own initials or profile picture in the top right corner. Clicking "Manage Email Preferences" to enable or disable certain system notifications. We recommend you keeping them all on. Just beyond "Manage Email Preferences" are your language options. 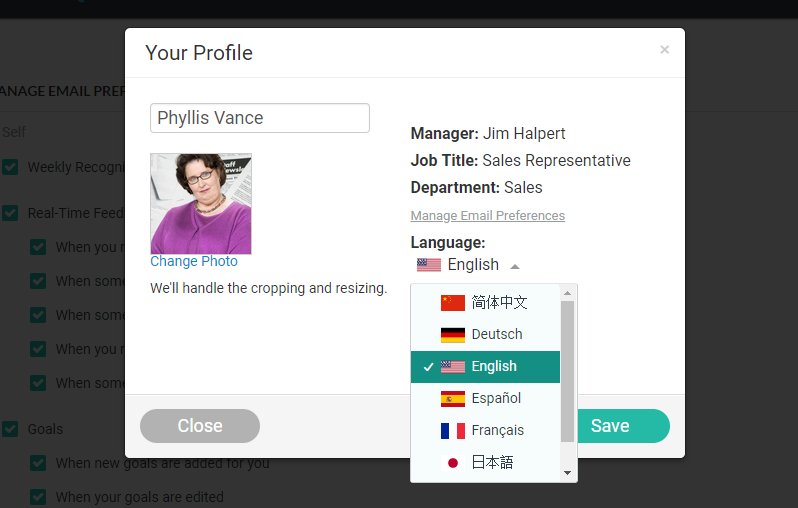 If your office/company has multiple languages supported, you may see a few others listed which you can pick from. If there comes a point where you won't be able to access any of the information you've inputted or received within Reflektive (Real-Time Feedback, Goals, and Check-Ins/Reviews), please contact your Manager or HR Administrator to retrieve those from the system for you. How Do I Log Into Reflektive?